The hall was originally bought, in 1928, for the people of Hathersage at a cost of £650 raised by public subscription. After some refurbishment it was opened as a War Memorial Hall in 1929 with a village dance. Since then the hall has been extended and developed, with a major refurbishment completed in 2007. A further grant from the National Lottery ‘Awards for All’ scheme in 2012 enabled the replacement of the old entrance to the hall with a new double glazed foyer. The original hall, known as the Stanage Hall, which has previously been leased by Derbyshire County Youth Service is now coming back into more general use. 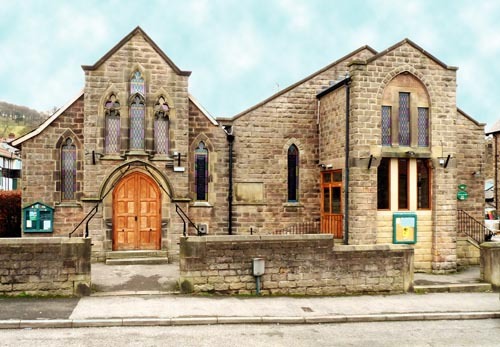 The Memorial Hall is run, in conjunction with Hathersage Parish Council, by a committee of elected members and representatives of organisations that use the hall.